Ask a Peer: What’s the Best Flooring for a Wheelchair User? I’m moving into a new house. I’m trying to decide on the best flooring to handle my wheelchair. Not a fan of tile. I’m thinking wood or laminate. Does anyone have any thoughts? Good or bad about either product? Flooring is a big investment that usually has a direct impact on wheelchair maneuverability in your home. Along with maneuverability, one needs to consider durability, ease of care and aesthetics. Of the responses we got, everyone agreed carpet was the most difficult to maintain and get around on. Most people recommend hardwood. 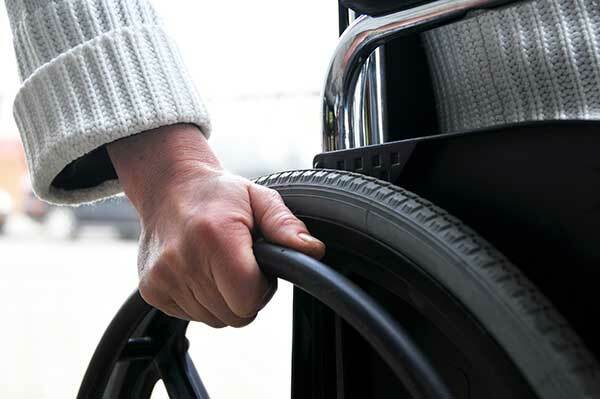 Tile, linoleum, laminate and hardwood were all recommended for wheelchair maneuverability, but long term durability was a concern with laminate and linoleum. It was suggested if using those products to get a high grade. Below are a few of the comments sent in by the peer alumni. Do you have a question you would like to ask our peers? Click here to submit your question.